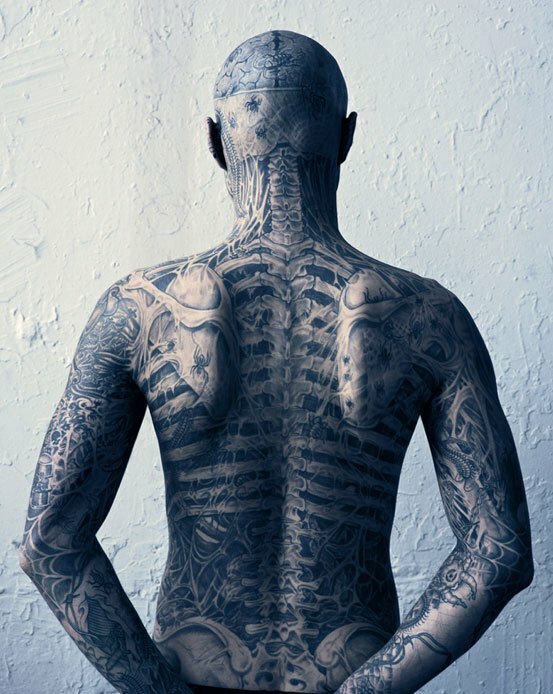 The Rick Genest appears in the above featured video, a campaign for Dermablend professional make up products. The Canadian model/artist has tattooed almost his entire body. He believes the art work on his body is ¨about the human body as a decomposing corpse-- the art of a rotting cadaver¨. The skin is only the cover, it's superficial in nature.